At the height of the band’s popularity, John Lennon made a controversial remark that The Beatles was more popular than Jesus. While the remark really was egoistic, it cannot be denied that John, Paul, George, and Ringo were really four of the most popular figures in the music world even until now. Thus, it comes as no surprise if there are several conspiracy theories involving The Beatles. Like Elvis Presley, the four members of the most popular British bands were subjects of different speculations such as faking death and being satanic disciples. For the benefit of those who are not yet in the know about conspiracy theories involving this band, here is a list of the most popular ones. 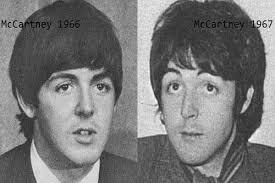 Any Beatles fan would definitely argue that Paul is very much alive; however, conspiracy theory fans enumerated several evidences proving that Paul died in 1966 and was discreetly replaced by a look-alike. It was in 1969 when a group of college students from the U.S. published what supposed to be damning evidences that Paul McCartney is no longer the real one but a replacement. Lyrics at the end of the song “Strawberry Fields Forever” that goes “I buried Paul” sang or uttered by John Lennon. That when you do backward masking of their song “A Day In The Life,” you hear alleged lyrics of “Paul is dead, miss him, miss him." Not only do those conspiracy theorists have wild ideas, they also have lots of time on their hands looking for clues that Paul was really dead using photographs as evidences. Pointing out that Paul was without shoes on the cover of “Abbey Road” album. In many countries including the U.K., the dead are buried without shoes. 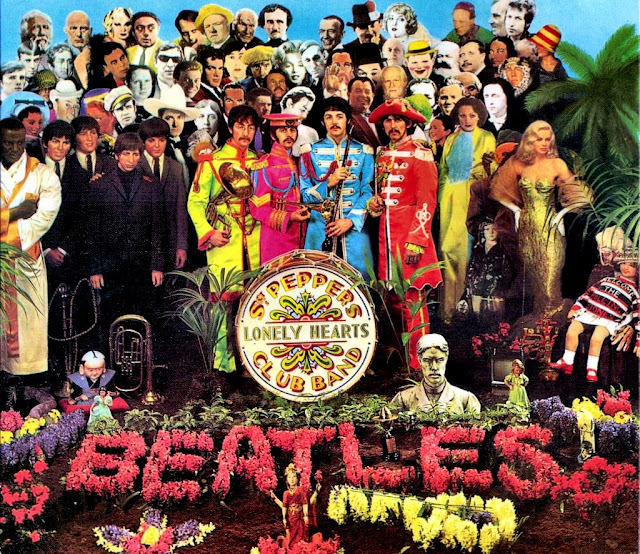 The inclusion of a yellow wreath in the shape of a bass guitar at the bottom of the cover of their album “Sgt Pepper’s Lonely Hearts Club.” Note that Paul was a bassist for the band. That there were many photos suggesting that there were significant differences on height, size, earlobes, teeth, and among others between Paul McCartney pre-1966 and post 1966. Clearly, these people haven’t read his Life Magazine interview dispelling rumors and conspiracy theories revolving around his death in 1966. 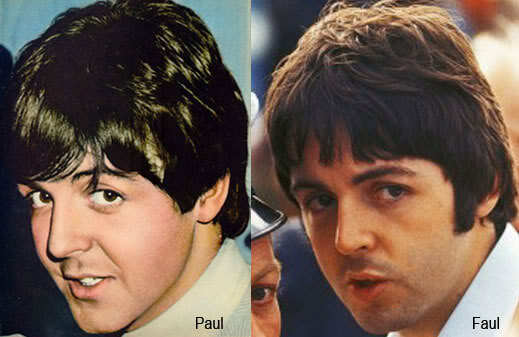 The Wired Italia August 2009 issue published enough proof that the Paul McCartney circa early 1966 and earlier could not be the same person as we see today based on scientific evidence using computer enhanced technique as researched and studied by two forensic experts. -this is the original Wired Italia August 2009 magazine; the literal translation is "Ask who is that Beatle?" They say that everything happens for a reason and that these four Liverpool gentlemen did not meet coincidentally and with matching talents to boot; thus, they change the world of rock and roll and pop music culture forever. Think again, conspiracy theorists would say; this was not the case. The Beatles were allegedly part of a social experiment created by Tavistock Institute in cooperation with Stanford Research Institute. The experiment was all about mind control and the band was used in order to introduce divisive and destructive change element and targeted to a population group so that change against their will can be implemented without the target group realizing that they have been switched on to be controlled. Thus, you have the mass hysteria each time the band appears in public. It appears that The Beatles were created to control the youth. 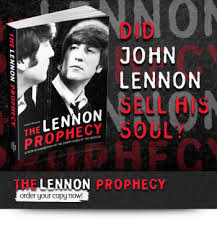 · He was killed using the assassination model recognized as “The Manchurian Candidate,” because Lennon was being tracked by FBI due to his Anti-Vietnam War sentiments. Yoko Ono was involved in his murder as she was not well loved not only by the surviving Beatles member then but also among the legion of fans of the band. Reagan, Nixon, and even Stephen King together with The Masons were also pointed out as the culprits behind his death. He was killed by the CIA as he was opposed to the war the U.S. government got entangled with at that time and killing him would divert people’s attention from the U.S. war in El Salvador and other countries and territories to John Lennon’s untimely death. One thing that is common with conspiracy theorists and normal people is that both groups believed that his murderer Mark Chapman did not work alone in relation to Lennon’s assassination. 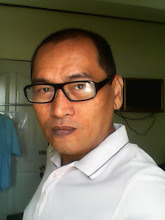 · Ringo Starr died first in 1963, followed by George Harrison in 1964, then John Lennon in 1965. Every Beatle fans knew that this series of events were not actually true. 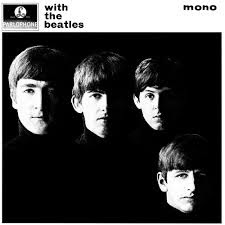 Clearly Ringo was already dead and was replaced by the time the album cover of “With The Beatles” as his face was not aligned with other Beatles members. That in the album cover of “A Hard Day’s Night,” George Harrison was the only back who was captured with his back fronting to the camera and the only smoking (a symbol for coffin nail probably). That in the song “Revolver,” apparently, John Lennon number 2 sung the line “I’m only sleeping.” And the song of similar title as every Beatles fans knew that the song is a metaphor for death. There were many evidences Fisher showed to prove that Paul McCartney was the only living original Beatles. However, as you have read the above allegations, one can surmise that he did not only have wild imagination, he probably lack right inspiration and motivation to prove his allegations as he said that he asked help to find more evidences as he did not have enough resources. This is probably one of the freakiest conspiracy theories involving The Beatles ever created. In this theory, a certain writer “L. Gunblade” boasted that he had a collection of conversations that would prove that all The Beatles member connived to kill Pete Best; the original drummer of the band. According to his concocted story, a customer at a bar where Beatles hanged out overheard a conversation after the group’s performance that evening. When Pete Best left the bar room to urinate outside, John, George, and Paul apparently discussed ways to get rid of Pete Best. It seemed that John had problems with Pete’s haircut, Paul did not like that Best was getting all the girls, and George was glad to know that he was not the only who disliked the original drummer. Of course the story found its way into many people like the janitor of the bar or other person in the room who also overheard the conversation. This conspiracy theory was of great interest to many Beatles fans as no one knew exactly why Pete Best was fired from the band. What was even more intriguing was that Brian Epstein, the one who fired Pete Best, eventually courted the original drummer for a new band created by Epstein and he wanted it to transform as another Beatles clone. Best rejected the offer naturally. Conspiracy theorists would point out to a specific song lyrics in the “Sgt. Pepper’s Lonely Hearts Club Band" that goes like this, ”twenty years ago today,” as the major evidence that the band members were into Satanism. According to speculations, the whole album was dedicated to Aleister Crowley who died twenty years before the album was released and was labelled by the press as “Satanist.” Apparently, The Beatles, along with other bands like The Rolling Stones and Led Zeppelin were part of Hollywood Satanist coven. The Beatles mania did not start in the mid sixties but long before that. 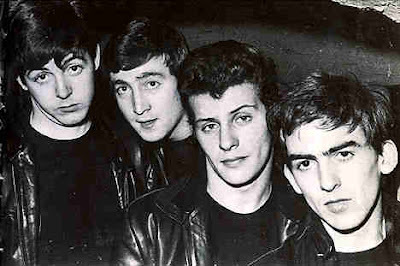 It started in Litherland Town Hall, December 27, 1960 and Pete Best was still drumming for the band. As soon as the band hit the first note of their own version of “Long Tall Sally,” the crowd were mesmerized as if being hypnotized. The crowd stopped dancing and moved forward to the stage and were screaming. Yes, indeed, you do not go to a dance club just to scream. From thereon, the band captured the fancy and attention of the whole of Great Britain and John Lennon wanted more. According to this theory, John Lennon made a pact with the devil to let him be more famous than Elvis Presley. The wish was granted and soon enough, they had strings of number one hits in the U.S. and on the other side of the Atlantic. However, the deal had an expiration date of twenty years; thus, John Lennon died on December 8, 1980. This is probably one of the conspiracy theories that somehow showed some truth. In this story, John Lennon’s son Julian went home and showed a picture that he drew of his classmate Lucy O’ Donnel whose eyes according to legend were shaped like precious diamonds. Julian named his drawing “Lucy in the Sky With Diamonds.” John Lennon was so taken with the title that he created a song out of it. Beatle fans and many other people believed that this song was an ode to a drug probably used by Lennon, LSD. Of course, he denied it but in 2004, Paul McCartney admitted in an interview with UNCUT magazine that indeed the song was about LSD. It was debatable if Michael Jackson did not only shock Paul McCartney but also ruined his friendship with former Beatles member when he outbid everyone to own the whole music catalogue of The Beatles. 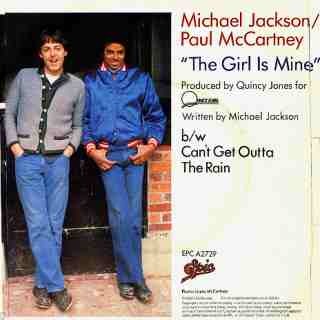 Michael and Paul collaborated on songs “The Girl Is Mine” and “Say Say Say.” During the release of Jackson’s “Invincible” album, he called a press conference not only to lambast his record label’s failure to support his album but also to make an allegation that there was a conspiracy against him so that he would not break The Beatles chart records and successes. Thus, Sony (his record label at that time) launched series of allegations involving Michael Jackson like homosexuality, child molestation, a freak show, and detached to reality. However, later on, Michael decided to return the catalogue to Paul as a friendly gesture. Apparently, he was killed by greedy individuals who do not want it to happen. Hmmmm, this is indeed a story that only needs one evidence to prove Michael Jackson’s allegation. Death of Mariah Carey is predicted to be next as she just need two more songs to break The Beatles' record for number one hit songs and she still has a lot of time to achieve it. Here is another conspiracy theory involving The Beatles that was based on pure coincidence alone. Forty years ago, Charles Manson, a frustrated musician with very complex personality was able to convince a group of problematic hippies to massacre seven innocent individuals in the name of racial war. 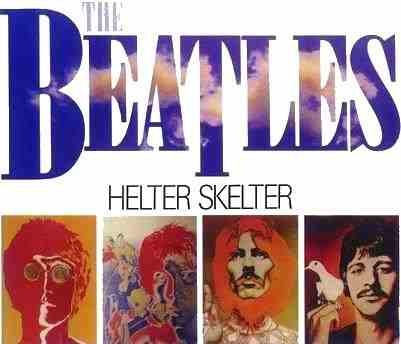 According to the legend, it was the lyrics of The Beatles song “Helter Skelter” which drove him to declare war on race. He adopted the song as sort of his slogan. 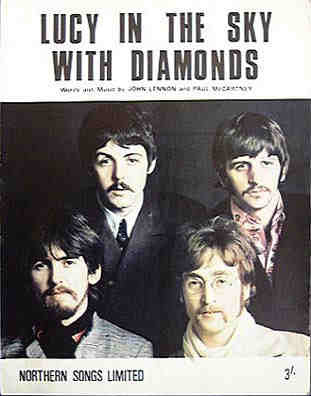 The Beatles coincidental connection did not end there as according to urban lore, Manson quoted the song prior to the killing and the song as well as the entire album that included it has not yet been released at the time of the massacre occurred. Indeed, these are crazy stories and the Philippines is not an exception when it comes to inanities involving The Fab Four. They were nearly killed here when they made a stop for two night shows in 1966. According to the story, they were invited by then Former First Lady Imelda Marcos for a courtesy call and breakfast at that. John, Paul, Ringo, and George did not show up and this got the ire of Imelda Marcos. Riot, stampede, and chaos were the order of the day when The Beatles left the country to head to India for their scheduled concert there. 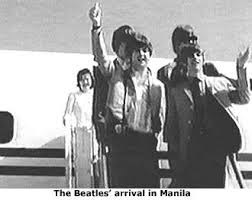 Their experience in the Philippines traumatized the gentlemen from Liverpool, England that they declared that they would no longer tour ever. Yes, I read several articles about it. Although I am a fan of conspiracy theories, my mind is still open any other possibilities with regard to Paul McCartney substitution. There is still that part of me would like to accept the theory as a fact and another part of me would like to be objective and continue to probe on the veracity of the theory by reading more articles about it.